Canna Australia is a dark foliage Canna, with some of the darkest leaves in the Canna world. This Canna has large dark red flowers. 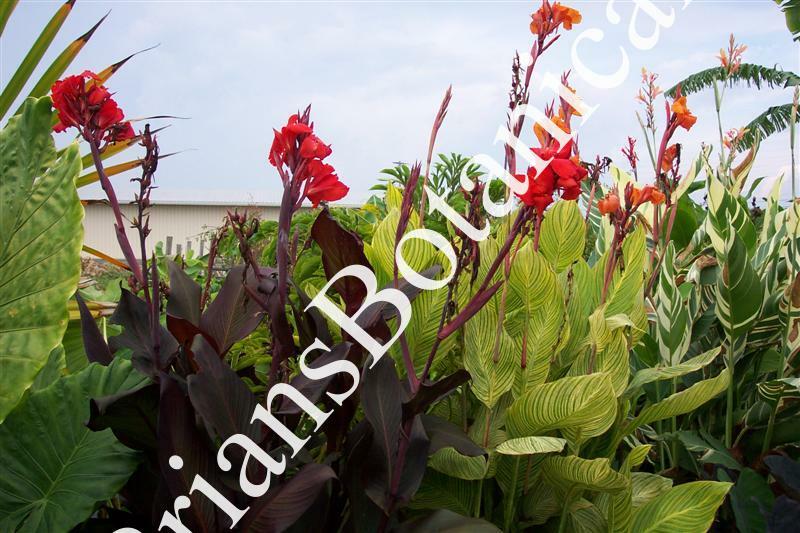 Canna Australia grows to 6 feet tall and makes a great hardy tropical landscape, tropical landscape or container plant. The plants for sale are in 4 1/2 inch pots.